We all know how digital marketing is useful for new and old businesses. Now let’s talk about the fastest emerging sector, which is E-commerce. E-commerce has a fierce competition in business industry and a study has recently revealed that e-commerce industry is the fastest growing industry within the Asia-pacific region. SEO strategies have the potential to convert a small e-commerce store into a brand. In this competitive era (Especially in e-commerce sector), it is highly imperative to get high rank in search engines. But, before thinking of the high rank you need to understand certain facts and questions about e-commerce and search engines. A good website speed score is 85 out of 100, what is your number? How close are you to this? The online infrastructure of the website must be clearly readable by the targeted audience and Google crawler, how well is your website designed? Know the bounce rate of your website as E-commerce industry records a high bounce rate, nearly 60%. Majority of customers use and make their purchases through mobile, is your website responsive? SEO is all about making strong strategies for such questions to move the rank upwards and for that you need to be clear about your website. These are just few questions, SEO is a big domain and appeals both targeted audience and search engine robot. Social media has become a huge platform; this is not only because of the large number of audience but active audience. This means that if you correctly optimize your social media, you can hit you targeted customers with you social media campaign. SMO depends on various factors, your SMO goals must be clear like, whether you need to create awareness about the product? Or improve customer satisfaction? Or boost sales? Furthermore your next step should be to analyze your customer responses, measure campaign success, which can be done by undertaking reviews, ratings, surveys to get the feedback. Your targeted customers don’t know your existence unless you are a brand. Blogging helps you to reach to such targeted audience who are not even aware of your existence. Even though they don’t know you, they must search about your products, and that’s how blogging helps, writing regular blogs about your products and related topic might land your page to their screens. One more advantage of blogging is that it helps improve your ranking with the addition continuous fresh content. One of the fastest ways to bring traffic is Pay Per Click (PPC). Through PPC campaign, you get traffic on your site in no time but that traffic should be relevant and convert into higher leads, Right? A successful PPC campaign will render you increased traffic along with higher sales. One of its ways is to customize your PPC ads according to your location and target audience. Geo targeting in PPC helps you to display products according to your customized location. For example, if you have a online clothing store, you can display summer collection in places where people will prefer summer clothes and winter collection in places where it’s cold and people will shop for winter clothes. And that’s how it works for multi products and services for your targeted audience spread in different locations. It helps you display shipping offers, products, and promotions, and so on according to the geography of your targeted audience. In an e-commerce website, users visit your site or app, scan the products, cart them and then leave it without purchasing. Don’t you want these customers to come back to your site and purchase? Imagine the increase in sales if you could cater that lost audience! 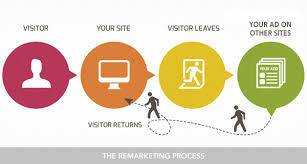 Re-marketing is highly suggested for online E-commerce outlets. With different strategies like discount campaigns and shipping charges you can bring back the potential audience. You can also cross sell products in which you can compliment products to your customers similar to the products they showed interest in. This will definitely leverage your sales and bring back potential customers and create customers for your other products too. These are basic digital marketing strategies that when done by the team of specialized people, definitely accelerate your e-commerce sales. Digital marketing companies have professionals for every department who have in depth knowledge in their field to get desired results. At Brandhype, we provide the best SEO Solutions for your business with effective on Page and off Page techniques specifically targeted to reach your target customer. Our team with relevant keyword research and digital campaigns ensures that your business transforms into a brand and you make more sales every day. To find out more about Brandhype’s process, and how we can help you digitally transform your business, write us at info@brandhype.in or call- +91-9873405308.